Satyanarayana served as driver to Indira Gandhi from 1980 till she was shot dead. Later, he retired and settled in his native Lakshmidevi Lanka village in East Godavari district of Andhra Pradesh. Life was normal for Satyanarayana till the time he was mobile and took care of himself. However, as he grew old he needed help and the care required for his age from his loved ones. As it happens in many households, Satyanarayana was left to fend for himself at this ripe age. Situation turned so bad that Satyanarayana was virtually living on the steps of a temple in his village. His son had already left to Hyderabad for livelihood. Though Satyanarayana used to get a decent pension amount he was not in position to utilize it. Some relatives even took undue advantage of it. 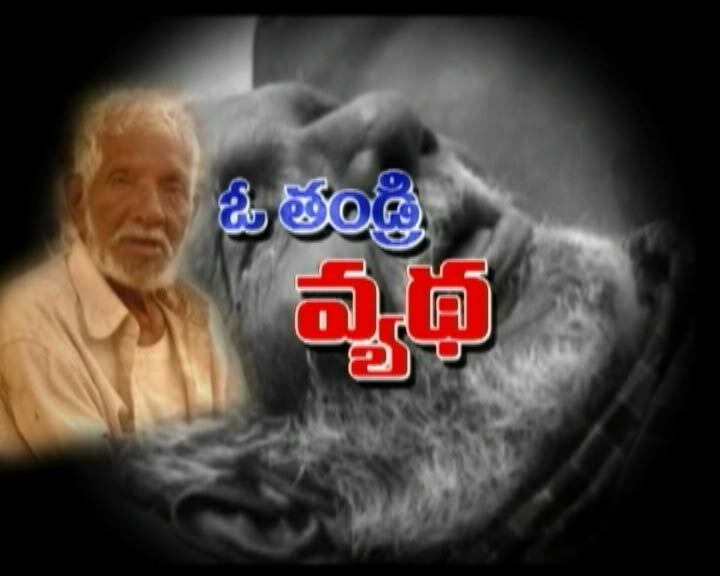 Satyanarayana's plight came to the notice of Zee 24Gantalu's Kakinada reporter S.Sivanarayana Reddy, who first reported his plight in May 2009. After promises of help from different quarters nothing materialized. Satyanarayana continued to live on the steps of the same temple. One year later, on June 2, 2010 Zee 24Gantalu again revisited Satyanarayana. This time his situation had turned from bad to worse. True to our tag line Nijam Nippulaantidi (Truth is like fire) Zee 24Gantalu team ignited the torch of humanity and took up the cause of Satyanarayana. Through the channel's series of stories on Satyanarayana, help started pouring in. This time, the powers to be and the administration took up the issue seriously. There was overwhelming response from general public from every nook and corner of Andhra Pradesh. At the initiative of Zee 24Gantalu, first Satyanarayana was cleaned, given a bath and taken to hospital for immediate medical check-up. The district administration came out with assurance that he will put up in old age home once he gets stable. Simultaneously, Zee24 Gantalu team traced Satyanarayana's son in Hyderabad showed his father's plight and reminded him of his duties as a son. What can be called as poetic justice on Father's day, Zee 24Gantalu re-united Satyanarayana's son with his ageing father. Realizing and regretting his mistake, Satyanarayana's son promised that he won't leave his father helpless. Zee 24Gantalu and its entire team will continue to practice Journalism of purpose, Journalism for betterment, Journalism by dedication, commitment and sincerity.